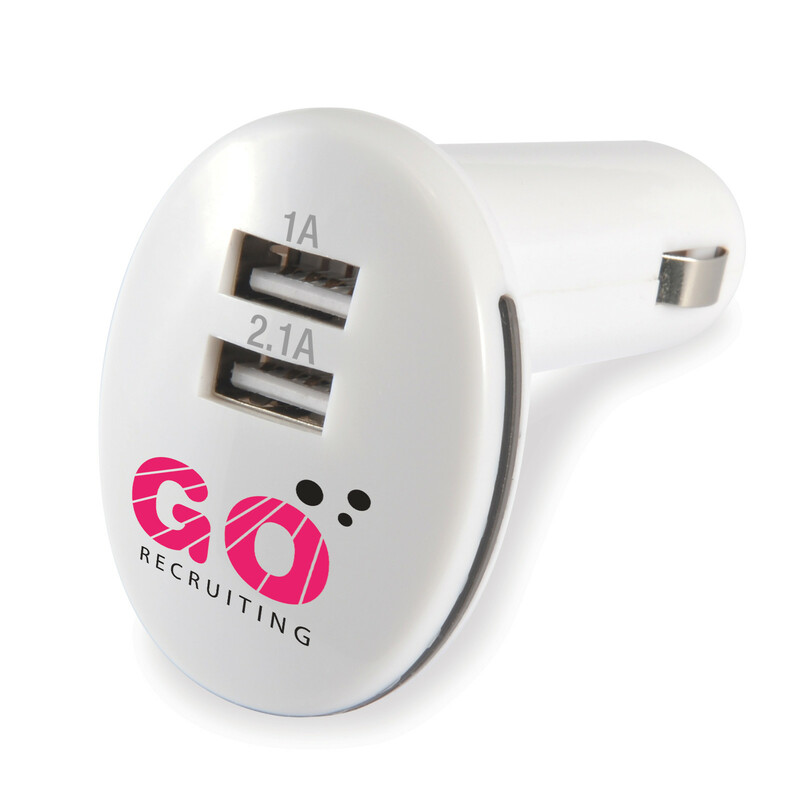 The handy solution to charging your mobile phone, tablet or other devices in the car. Dual USB outlet. Simply plug into your cigarette lighter socket, and you have dual readily available USB charging sources. 12V, 1 Amp and 2.1 Amp. Suitable for charging smartphones (1 Amp), Tablets (2.1 Amps) or any other USB device via your device's original USB cable. Input: DC12-24V, Output: DC5V-2.1A, 1.0A for others.